Baird, an employee-owned, international capital markets, wealth management, private equity and asset management firm, today announced that it has added industry veteran and public finance banker Tanya K. Hahn as Managing Director in its Columbus, Ohio Public Finance operations. In the role, Hahn will provide financing expertise to Baird’s government, municipal, school district, higher education and nonprofit clients, expanding Baird Public Finance’s expertise nationally to include health care and senor living facility financing. 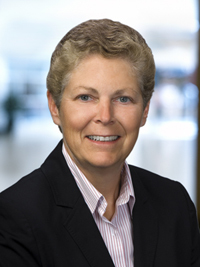 For the past eight years, Hahn was a Senior Vice President and investment banker at Lancaster Pollard & Co., a specialty investment and mortgage banking firm headquartered in Columbus, where she was responsible for all health care, senior living and education facility financings in Wisconsin and Michigan. Prior to her time at Lancaster Pollard, Hahn served as the Chief Financial Officer and Chief Information Officer of Franklin University from 2000 to 2003. She also held public finance roles at McDonald Investments, Inc. Citibank New York State, as well as auditor, accountant and tax consultant roles at Citibank New York State, Schlegal Manufacturing Co., State Auto Insurance Co. and KPMG. Hahn is a Certified Public Accountant and holds a master of business administration degree in finance from Rochester Institute of Technology and a bachelor of science degree in business administration, accounting and finance from Miami University. Baird is a major underwriter and financial advisor to municipalities, schools, government agencies, nonprofits and corporations. During the past five years, Baird has served as advisor, underwriter or placement agent for debt issues exceeding $110 billion. For 2010, Baird ranked as the No. 1 municipal bond underwriter in the nation based on the number of competitive and negotiated issues, according to Thomson Reuters. Baird also ranked among the top 10 underwriters of issues of $100 million or less, based on the par value of these issues.. Baird was honored by The Bond Buyer as advisor of the “Midwest Regional Deal of the Year” in 2007 and “Nontraditional Financing Deal of the Year” in 2009. Baird is an employee-owned, international wealth management, capital markets, private equity and asset management firm with offices in the United States, Europe and Asia. Established in 1919, Baird has more than 2,600 associates serving the needs of individual, corporate, institutional and municipal clients. Baird oversees and manages client assets of more than $82 billion. Committed to being a great place to work, Baird ranked number 14 on the FORTUNE’s “100 Best Companies to Work For” in 2011 -- its eighth consecutive year on the list. Baird’s principal operating subsidiaries are Robert W. Baird & Co. in the United States and Robert W. Baird Group Ltd. in Europe. Baird also has an operating subsidiary in Asia supporting Baird’s private equity operations. For more information, please visit Baird’s Web site at rwbaird.com.